What began in 1978 as a u-pick raspberry farm, is now our 30-acre family farm and much more than just berries. 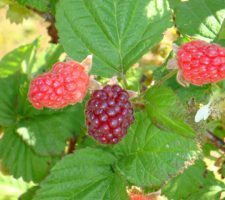 We specialize in over 20 varieties of berries, including strawberries, raspberries, blueberries, Marionberries and several varieties of blackberries, including boysenberry, loganberry and tayberries. We grow both early, mid and late season varieties, which allows for picking from early June through September.We also tend to a 5-acre apple orchard, featuring over 20 varieties of antique and modern apples. In the remaining corners of our farm we grow a variety of specialty produce including gourmet greens, fresh herbs, gourmet squash & pumpkins and heirloom tomatoes & peppers. 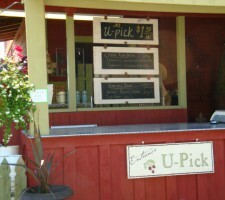 We offer seasonal u-pick on a variety of crops. ‘No spray’ berries are our specialty, however you will also find u-pick apples & pears in the fall and tomatoes & peppers during late summer. Our goal is to provide you with the freshest, highest quality produce in our local market. Our selection changes with the seasons and reflects the very best the Willamette Valley has to offer. Our background in Horticulture has brought a new dimension to the farm organic vegetable starts, edible herbs, berry plants, perennials and flowering annuals to help you produce a beautiful and bountiful harvest of your own. 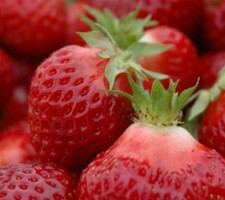 Each Spring we offer an excellent selection of fruit trees, berry plants and organic vegetable starts. We also offer 2 of our favorite seed labels to get your own garden growing Territorial Seed and Renee’s Garden Seed. Our greenhouse is full of flowers and hanging baskets just in time for Spring. Our custom-designed baskets will provide you with beautiful lasting color all summer long. And they make a great Mother’s Day gift! We are stocked with all the important accessories and decor to personalize your garden, including decorative pots, statuary, garden tools, soil amendments and organic garden care products. 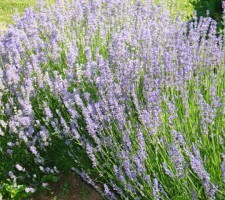 We also offer customized container planting and practical gardening advice. We specialize in quality gourmet products, including our very own preserves made with fruit picked at the peak of ripeness right from our farm. We offer the highest quality pure raw honey from hives that are kept here on our farm. 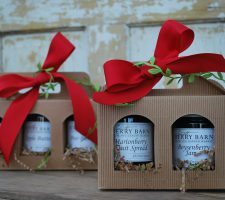 Customized gift baskets are available and can be shipped anywhere in the US. Please call us to place your special order. Our selection of gifts is truly unique with home and garden decor, European inspired kitchen and bath products, a wonderful selection of cooking & gardening books and much more. Our milkshakes have become a local favorite, made to order with our own berries and local Oregon ice cream. We serve Cascade Glacier ice cream by the scoop. Our choice for espresso is Caffe Umbria, served daily…and if you love blended coffee drinks, make sure to try one of our Mocha or Espresso milkshakes!